As my regular readers will know by now, I indulge myself in this blog by writing about the many books which are my old favourites, the ones which I read and re-read, and I feel, as I write, as if I'm talking to old friends who like the same sort of books as me. My last blog was about Jane Austen. So this blog, in the usual sequence, is about two writers, and in particular two books, that I've discovered during the past few months. The first is Tim Roux's book, previously The Dance of the Pheasodile, now re-published as Harry Walker's Wife. Tim Roux operates Night Publishing, which published my first book Belfast Girls. So is there something suspicious in the fact that I'm recommending my publisher's own books? Well, no. 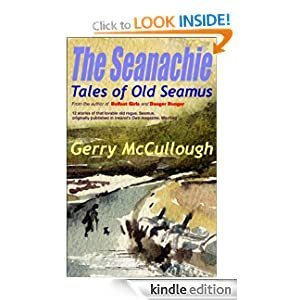 My second and third books, Danger Danger and The Seanachie: Tales of Old Seamus are published by Precious Oil Publications, which is run by my husband Raymond McCullough. If I wanted to curry favour with my current publisher, I would be recommending Raymond's book, The Whore and Her Mother (a non-fiction look at prophecy about coming events). So in looking at Tim Roux's book (which by the way is only one of his many excellent novels) I can honestly claim to be completely impartial. Harry Walker's Wife is the story of Keith McGuire, who goes for a Hypnotherapy session to help him deal with his past, and comes to himself in the body of someone called Harry Walker, an unpleasant, crooked man, the opposite of Keith in every way. Meanwhile, Harry is living in Keith's body. The two men find themselves forced to live each other's lives, including living with each other's wives – a moral problem for Keith if not for Harry. This is one of those books which make you want to kick yourself for not reading it sooner. Pressure of work prevented me reading Harry Walker’s Wife when I first got my hands on it, and how stupid was that? As soon as I started the book, I was gripped. I read it in one sitting when I should have been buying/wrapping Christmas presents (about two days before Christmas, I mean) and I felt that I had made a discovery. Tim Roux is an author whose name should be known throughout the reading world. He is a skilled writer, able to move, amuse, thrill and terrify within a few sentences. His characters are likeable when he means them to be likeable, even when they end up doing unlikable things. And his plot -wow! I spent most of the book wondering how on earth he was going to resolve this fantastic situation without using the old cop-out, 'And then Keith woke up.' But not a bit of it. Mr Roux is not afraid to tackle the incredible and make it believable, and he resolves his plot in a way which is truly satisfying. Tim Roux gives us a new twist on previous books with this type of subject (like Vice Versa by F. Anstey or Laughing Gas by PG Wodehouse, to say nothing of films like Big). This is not a straight body swop. Part of the iniquitous Harry Walker remains, sharing his own body with its new inhabitant, Keith, and encouraging him to do things Keith would never have done. So Keith, recovering his own body and life, is faced with a moral problem – did he do some of those evil things, or can he put the blame on Harry? Fascinating. But the most obviously striking thing about this book is the speed with which the plot moves along, and the page turning skill with which Tim Roux keeps us gripped and impelled to read more. I love this book. I think millions should be reading it. And I think Mr Roux should put some of the time, and the skills he now has, which he uses in publishing and publicising other writers' books, into pushing this one – and then we'll see what we will see! 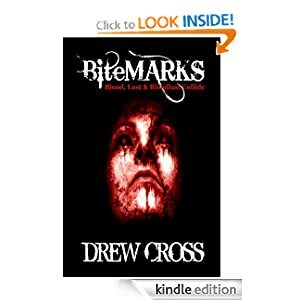 One of those books, published by Tim at Night Publishing, is Drew Cross's Bite Marks. Not, as its author finds himself constantly explaining, a vampire story, but rather the story of a cop tracking a serial killer with strange tendencies. This is another book which I read in one sitting. Drew Cross is a writer whose lyrical style shines forth from every page. This is only one of the thousands of lines which are not only sheer poetry in themselves, but which carry the exact atmosphere which the author wants. In this particular scene,it's the memory of the original innocence of childhood. In others, the poetry conveys to us pain, guilt, or loneliness. 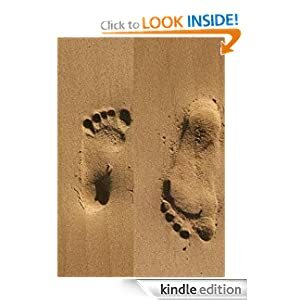 This is a gripping, page turning thriller which also deals marvellously with the damaged human condition, the scars of childhood, the generational hurts passed on unless they are deliberately cut off. There is only one writer I can think of who uses the crime story to do so much exploration of the human psyche, and that is Graham Greene. I consider that Drew Cross fully deserves to be placed beside Greene – who is acknowledged as one of the great writers of the twentieth century. 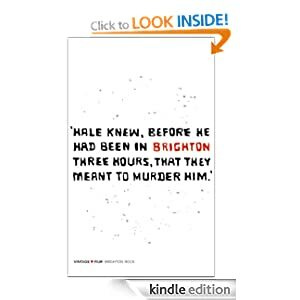 Recently I watched the film of Brighton Rock on TV again, and was reminded how skilful Greene is at giving us a gripping, thrilling crime story, while making us aware of the underlying depths of life as a part of his story, rather than something imposed on it. It's not too much to say that Drew Cross does something similar. One reason why this book Bite Marks works so well simply as a crime story is the skill with which the writer tells us only enough to keep us guessing, enough to make us eager to find out what is actually going on. What is Shane Marks haunted by? What is he trying to conceal? Is he, or is he not, himself the 'monster'? And will he succeed in leaving behind his past, and forging new relationships, with his cop partner Marcus or with Karen? It's only towards the very end of the book that these things become clear. Meanwhile they tantalise us, and pull us on to read further. But we want to know, not just the solution to the crimes, but who this man is who is at the centre of the story, this man Shane Marks. 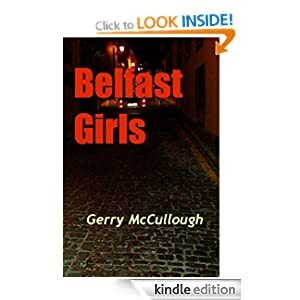 Meanwhile, are you one of the nearly 3,000 people who've bought and read Belfast Girls? (Currently at #4 in the Amazon Women's Literary Fiction genre.) 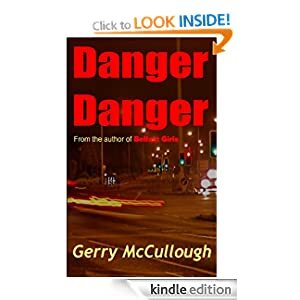 If you are, then have you tried my second Irish romantic thriller, Danger Danger? Or my lighter short story collection The Seanachie: Tales of Old Seamus? You can buy them for buttons at these links. Or for slightly more as paperbacks.